Who says you can’t have snow in Texas? Okay, admittedly the Hill Country rarely sees it. Polar life isn’t why people move here. 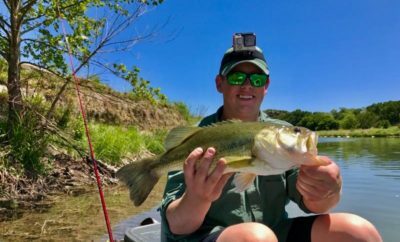 Our tendency toward warmer temperatures among the many other attributes is what attracts and keeps residents, but in the charming town of Llano we can have both! 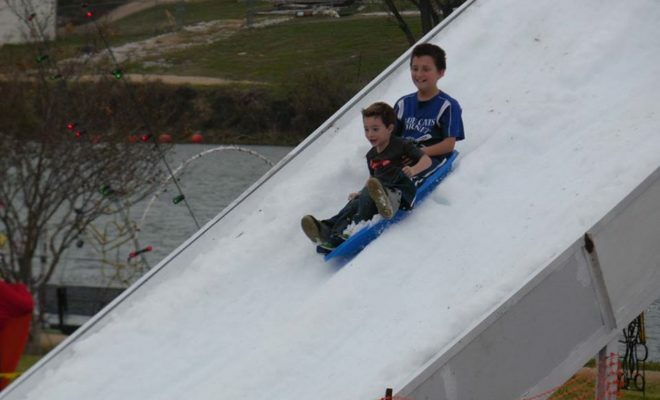 On a special day during the annual Starry Starry Nights in Llano Texas, you can bring the family out to experience the snow of a lifetime! 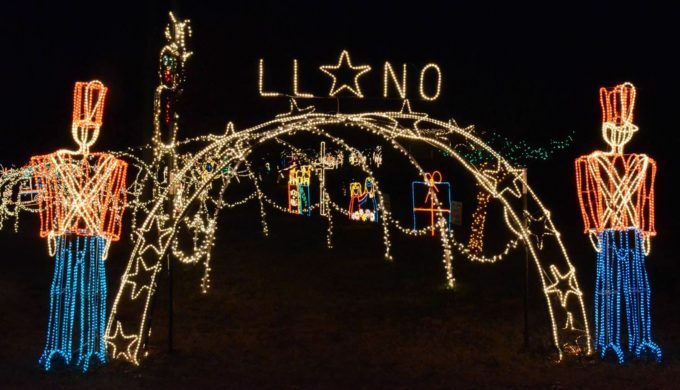 Llano will also be the place to be for Christmas lights and Santa this year! 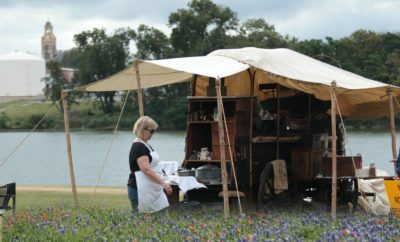 Llano’s impressive list of year-round activities also includes Starry Starry Nights. This event runs nightly from 6 p.m. to 9 p.m. beginning the day after Thanksgiving and continuing until New Year’s Eve. 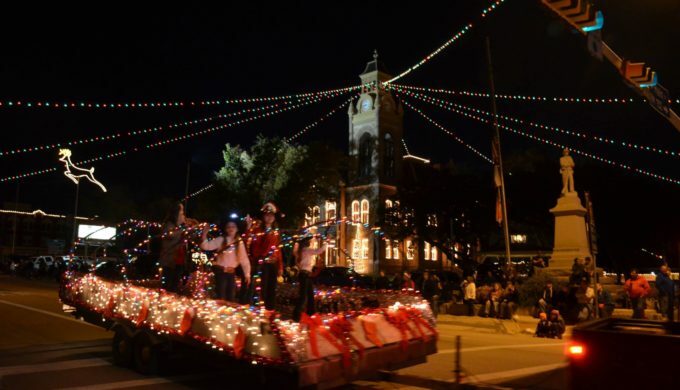 Think Austin’s Trail of Lights, but in true Llano-style, with a welcoming small-town vibe and lights galore. Badu Park runs along the river making for a double show as the gorgeous Christmas lights reflect on the surface of the water. Visitors come from all over to see the lights, and it keeps them coming back year after year. Snow Day takes place on December 8! Kids won’t want to miss out on the fun of riding down the snow slide, and their parents will relish the chance to snap a photo of their grinning kids in mid-slide. Nothing beats a white Christmas in the Hill Country! Hours are 1 p.m. to 9 p.m. with a wristband required. The sleds will be provided. Also on Snow Day, 1st through 3rd graders at Llano ISD and Llano Christan School get to compete in a special holiday competition. 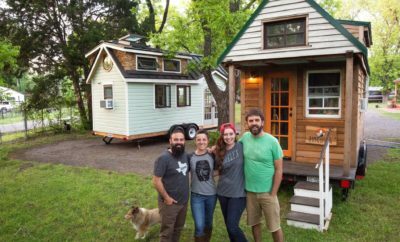 The winner of the coloring contest gets to flip the switch and lit up Starry Starry Nights. 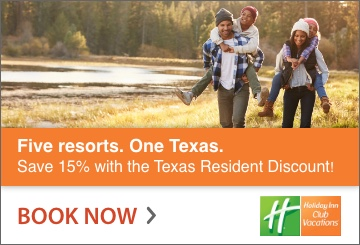 Talk about an unforgettable holiday memory!